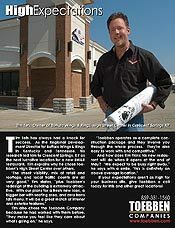 Toebben Companies offers retail, medical, industrial, and office space in Cincinnati and Northern KY; various sizes area available for short- and long-term leasing. Retail, office, medical and industrial space of various sizes is available for short and long term leasing. Properties are grouped according to type on the right and below in alphabetical order along with a brief summary of the property. Click on the area of the map you are interested in to go to a particular location. Click on the photo of that location for more in-depth property information. Learn more about our commercial properties for lease. We have a variety of commercial properties for Lease in Northern Kentucky and Cincinnati area. Whether you are planning to relocate your business or start a new business, we have many opportunities for you to find the perfect location. Choosing a location is one of the most important decisions you can make as a business owner. We can help you with acquiring the research you need to make an informed decision. Many of our locations are conveniently located in areas where existing businesses and markets are flourishing. As you can see, we offer many different leasing opportunities and have available medical complexes, retail locations and office space in Cincinnati and Northern Kentucky. We also have land available for warehousing and factory initiatives. We can help you with building the unit you need to house the business you’re interested in. Our many office locations are located in professional settings that will enhance your brand image and provide the necessary amenities and parking you require. Leasing terms are negotiable. Because you are working with Toebben Properties, we can work closely with you to help you stay on budget and receive the necessary amenities you need. We have many different sizes of office space and we’ll work closely with you to find the best fit for your business. Our retail locations are situated in areas where demographics and competition will provide a healthy environment for your business to grow and thrive. Local labor markets are good and future growth is always possible. Most of our locations offer easy access for customers and suppliers with a great proximity to local highways. Whether you need a small space in an existing mall or a new plaza or you need a stand-alone building, we have options to fit your needs. We have areas with the right zoning to meet your needs for factory and commercial uses. 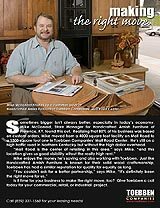 As a builder we can help you with researching the location to find the right zoning. Many of our locations are situated in areas where multiple transit avenues are available. We also provide build to suit services to meet your needs. If you are looking for commercial properties for lease, call Toebben Properties. We have a variety of options and can help you locate the perfect spot for your type business. Look over our properties or if you don’t see what you’re looking for call our office and we will be happy to work with you to find the lease you need and the building that is right for your business. 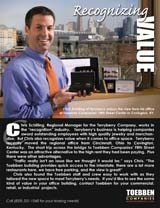 Chris Schilling of the TerryBerry Company moved his office from Cincinnati to Toebben's Fifth Street Center. Tim Tefs, owner of Buffalo Wings & Rings, is very happy with his High Street Center location. Manager Mike McDonald feels that moving his business to Toebben's Mall Road site was the right move. 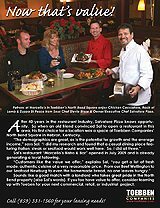 Marcello's Bistro & Bar chose Toebben's North Bend Square because of the opportunities.